Post on copyrights with a list of website where you can find copyright free resources. Finding good illustrations and other resources is a challenge and the question always is: Am I allowed to use this resource? When you find a resource trough a search engine it may appear to be free of copyrights, but very often it isn’t. This post contains a short description on the rules of copyright and a list of websites with resources that you are allowed to use. Preferred placement is with the content, but at the end is also acceptable. Just be sure to indicate clearly, such as in the example you list above: Figure X, Large and small tomato, by Friedrich Haag CC-BY-SA. You must also include links in that info to the image, author’s website (if different), and to the specific license at Creative Commons, respectively. Attribution is always required for CC-licensed work, so never skip this one! Ever. Absent any other info that accompanies the content, it’s good to assume that however the author appears is how he or she wants to be listed. Using media in an online course can get tricky. For example, remember that when CC-SA content, you must distribute what you create under that Share Alike license. Folio created a really detailed infographic on these rules. Clik the image to see the full infographic. 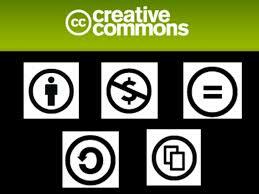 Creative Commons is an organization which supports free and open content. It enables a creator (of images, courses, music, videos) to get registered as the owner/creator of the resource but at the same time grants other people the right to use this resource. If you create something you can add a CC license (there are several options), allowing others to reuse your work (of course with proper attributes to you the creator). This also means that if you find CC licensed resources through a search engine, you know that you are allowed to use that. This blog is published under CC, as you can see in the side bar. A Creative Commons Attribution 4.0 International License. This license means you are allowed to use, reuse, change and share all the information in this blog, as long as you recognize me as the author. Another license is the GNU license, that is mostly used for software but also other resources like images and videos. Work under GNU license may be reused, shared and changed, so that is save as well. Before you use any image, audio, video or text file, make sure you are allowed to use it and always attribute the creator. Death to the stock photo A service created by two photographers. You can signup for free and you will get a pack of free photos in your email every month. If you sign up for a premium account ($10 per month), you will get access to the full database. All the free stock A website with links to other free stock photo and video websites. Free images This is a search engine for free stock photos. All your searches will give paid results at the top, but if you scroll down you will find the free ones. Morgue file A ton of free stock photos. Clear description if there are limitations on the usage. Pic Jumbo Does contain free images, but also a lot of images that you have to pay for. Stockvault Does contain free images, but also a lot of images that you have to pay for. Xpert attribution A website with images, audio and video most of them under CC license. It has a nice feature to embed the attribute into the images. Iso republic A limited amount of images but really nice ones. Commons wikimedia The wiki of the CC organization with lots of free images, sounds and videos. Getty images Free and paid images. it has an option to only search on free images. I found that that filter doesn’t always work. Flickr You do need a Yahoo account for this one, but it offers the option to filter on creative common resources. I got a lot of responses on this post. Some people are suggesting other websites for copyright free images and other resources. If you have suggestions, please add a comment with these websites or tweet me @kasperspiro. I will add them to the list. A great tip from Margie Shiels: If you use Google (or Bing) for an images search, it is possible to filter your results by usage rights. You’ll see a Usage Rights drop down where you can select a number of variations (labeled for reuse, labeled for noncommercial reuse, etc. ).